If you are looking for a natural supplement that can help you lose some body weight, you may be interested in Lipozene vs Garcinia Cambogia. Both are based on natural ingredients; Lipozene uses konjac root, whereas Garcinia Cambogia is a tropical fruit. See the detailed comparisons between these two supplements below to find out which one is better. People have been buzzing about Lipozene for a while. It is said to be an effective weight loss dietary supplement that works by keeping your appetite in check. It sounds even better because it uses only a single natural primary ingredient, which is konjac root. In addition to weight loss, it also offers several other health benefits, including increased energy and good digestive health. Lipozene is clearly not intended to cure or treat any disease. However, the high fiber content makes it suitable to aid in controlling cholesterol and blood sugar. The fiber content comes from konjac root. It also uses some other ingredients, such as gelatin, stearic acid, and magnesium silicate. Lipozene is not backed by any clinical study. However, there are some researches that study the primary active ingredient, glucomannan. Unfortunately, Lipozene is not backed by any clinical study. The supplement does not have any independent research to back up or study the complete effects and benefits of the supplement. However, there are some researches that study the primary active ingredient, glucomannan. It is a type of fiber that is acquired from konjac root. This fiber is known to be able to absorb a lot of water to form a gel-like structure which effectively fills the stomach. Consuming Lipozene is simple and straightforward. According to the label, one serving consists of two capsules. You should take one serving (two capsules) with at least 80-oz of water, about 30 minutes before a meal. Keep in mind that you need to drink enough water to avoid blockage; without enough water, the fiber may swell before reaching your digestive tract. The swelling may result in blockage which is very dangerous. 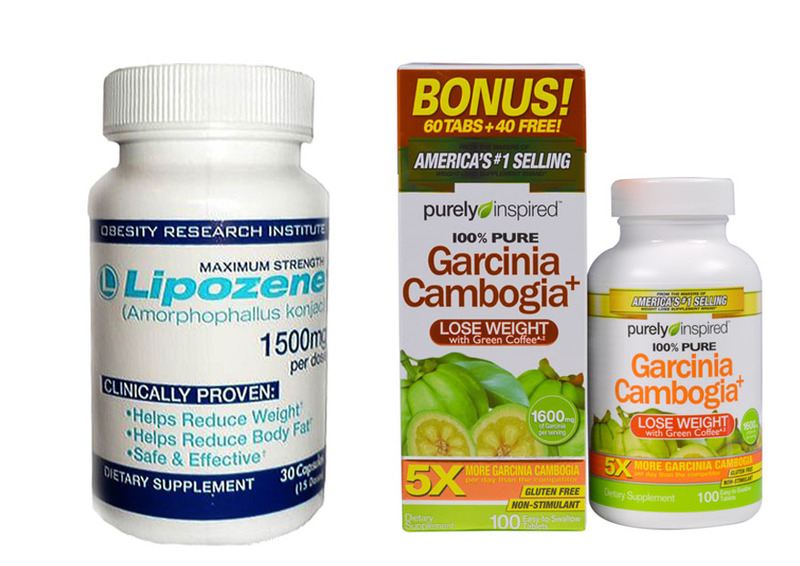 To compare Lipozene vs Garcinia Cambogia, we need to see their ingredients. However, Lipozene only has one active ingredient, which is glucomannan. It is a type of fiber that is acquired from konjac root. It is a soluble fiber, which means that it can be solved in water. It has laxative properties, and it can give health benefits by maintaining blood sugar levels, slowing down digestion, and controlling hunger. Lipozene only has one active ingredient, which is glucomannan. It is a type of fiber that is acquired from konjac root. According to the label, every serving of Lipozene has 1500 mg of the proprietary blend, which contains Amorphophalluskonjac extract from konjac root. The exact amount of the fiber is not known, but it is apparently quite high. Glucomannan is able to absorb water and create a gel-like structure. This gel fills your stomach and moves slowly through the digestive tract. It effectively makes you feel full without adding calories. The ability to slow down the digestion process is also a strong factor in the effectiveness. The fiber does not get digested or absorbed by the body. Hence, it can reduce your hunger and appetite, so that you can reduce your caloric intake more easily for weight loss. Other ingredients include gelatin, stearic acid, magnesium silicate, microcrystalline cellulose, titanium dioxide, and FD&C Blue #1. These ingredients come in very small amounts. They are used to create and color the capsule shell. When comparing the benefits of Lipozene vs Garcinia Cambogia, you should keep in mind that the primary ingredient in Lipozene, glucomannan, is also sold by many other retailers. The fiber content of Lipozene is not radically different compared to other fiber supplements that contain the same ingredient. 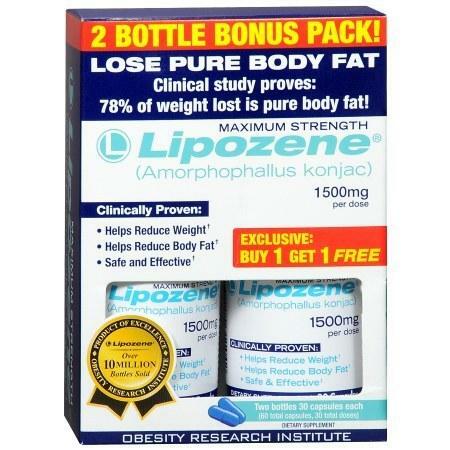 Most of the benefits of Lipozene come from the primary ingredient instead of the product. According to Healthline, Lipozene can promote gut health as well. The most important benefit of Lipozene is weight loss, but there are several things to consider before deducing that it is really effective for the purpose. While the working mechanism of glucomannan is generally considered real and potentially effective, you may get less significant results if the stomach has been stretched due to overeating. Nevertheless, glucomannan is still useful for slowing down the digestion process, so that foods move more slowly through the intestines and you feel full longer. Glucomannan is useful for slowing down the digestion process, so that foods move more slowly through the intestines and you feel full longer. There have been several studies conducted on glucomannan. First, glucomannan has been shown to be able to relieve constipation in children and adults. Second, it can reduce total blood cholesterol, LDL cholesterol (“bad” cholesterol), and triglycerides while raising HDL cholesterol (“good” cholesterol). This is possible because the gel-like structure also binds fat molecules. Third, it can help people with diabetes to control their blood sugar levels. By slowing down the digestion process, it prevents a sudden sugar spike. In the end, Lipozene has a good chance to work. It has the potential to reduce your hunger and cravings. However, in order for it to be truly effective, you still need to follow a healthy diet to reduce your caloric intakeand exercise regularly. Glucomannan, which is used in Lipozene, has been studies in several researches, and it is believed to be safe and non-allergenic. It is usually well-tolerated by the body. Lipozene does not use any other potentially allergenic ingredient. Lipozene has been associated with some side effects. Most of the side effects are stomach problems. They include abdominal pain, stomach upsets, bloating, gas, constipation, diarrhea, and nausea. These side effects are apparently caused by the body’s inability to adapt to a sudden increase in the fiber intake. In order to avoid such side effects, you should increase your fiber intake gradually before taking the full dose. You can start with just one capsule per day for a few days. Afterwards, you can take one full dose per day for a few days, before taking a serving every before a meal. Lipozene should be taken with enough water to prevent blockage. As mentioned above, Lipozene should be taken with enough water. If you don’t drink enough water, the fiber may swell in the esophagus and cause a blockage. This is very dangerous. The blockage may make you unable to breath. It requires an immediate medical help. So, to avoid this problem, drink enough water. Garcinia Cambogia has become more and more popular since the world became more attracted towards natural products. A lot of dietary supplements market Garcinia Cambogia as a tropical plant and fruit that has amazing weight loss benefits. You can find the wild plant species in the Southeast Asia region. There are smaller populations in some parts of Polynesia, Australia, and Africa. The plant allegedly has a lot of varieties. There are at least 50 different varieties that are known to the scientific world. Each variety has unique health properties that are distinguished by the natives and locals. Nevertheless, the most commercialized Garcinia Cambogia variety right now is the one that is linked to weight loss. Some people believe that it can act as an appetite suppressant. Despite the craze in the market, several studies have shown that GarciniaCambogia doesn’t actually give dramatic results. However, before you go to the nearest store to buy a bottle of Garcinia Cambogia weight loss supplement, you should know that there isn’t enough scientific proof yet regarding its effectiveness in weight loss. Despite the craze in the market, several studies have shown that Garcinia Cambogia doesn’t actually give dramatic results. Even worse, some studies have shown the severe contraindications of Garcinia Cambogia. The hydroxycitric acid in the ingredient is somewhat toxic. Lipozene vs Garcinia Cambogia have very different ingredients. Garcinia Cambogia naturally contains several chemical compounds. The three chemical compounds that have considerable amounts are hydroxycitric acid (HCA), flavonoids, and xanthones. Hydroxycitric acid (HCA) is a chemical found in the rind of the fruit. It is said by many companies to be effective for weight loss, despite the scientific studies. It is said to be able to destroy fat molecules in the digestion. It is also believed to be an appetite suppressant and a fat-burning agent. However, it is somewhat toxic. Excessive consumption may lead to liver damage. HCA is said by many companies to be effective for weight loss. However, it is somewhat toxic. Flavonoids are phytonutrients that are usually found in almost all fruits. Flavonoids have anti-inflammatory and antioxidant properties, and they can boost the immune system. They are potentially useful for preventing some types of cancer as well as cardiovascular and neurodegenerative diseases. Finally, the pericarp of the Garcinia Cambogia fruit contains xanthones, which are also classified as phytonutrients with antioxidant properties. Xanthones can help your body get rid of free radicals. They are also useful for preventing metabolic breakdown. However, xanthones are contained in a fruit part that is very rarely consumed. The xanthone content of Garcinia Cambogia was noted only recently. Garcinia Cambogia has shown promising results for diabetes.In a study conducted in 2003, mice were given a high-sugar diet along with Garcinia Cambogia for four weeks. As a result, these mice showed lower insulin levels compared to the mice that didn’t receive the Garcinia Cambogia supplementation. In a preliminary test conducted on micein 2005, Garcinia Cambogia once again showed potential benefits for diabetes type 2. The researches gave Garcinia Cambogia to mice with a dose five times higher than the recommended human dose at the moment. This caused slower glucose absorption and less sugar spike compared to mice that didn’t receive any. Garcinia Cambogia is also believed to be useful for reducing stress and depression. Garcinia Cambogia is potentially able to regulate and reduce the cortisol amount in the body – cortisol is a hormone that is responsible for causing stress. Garcinia Cambogia also seems to be able to affect the neurotransmitters and release serotonin, which is a pleasure hormone. However, the scientific world is on the fence about Garcinia Cambogia’s benefits in promoting metabolic rates and weight loss. A report in Journal of Obesity mentioned that the effect magnitude of Garcinia Cambogia is small, while the clinical relevance is not certain. Furthermore, a study has found that adverse gastrointestinal-related events in the HCA group were twice more common than the placebo group. In other words, the participants experienced a slight change in body weight, but with gastrointestinal problems. So far, the studies haven’t shown positive results the affirm Garcinia Cambogia’s benefits. In 2010, Journal of Obesity once again stated that the weight loss benefits of Garcinia Cambogia are only partially effective, and they only last for a short term. The weight loss comes in a very small degree. In the end, there are now a lot of investments trying to show the weight loss benefits of Garcinia Cambogia on humans. But, so far, the studies haven’t shown positive results the affirm Garcinia Cambogia’s benefits. 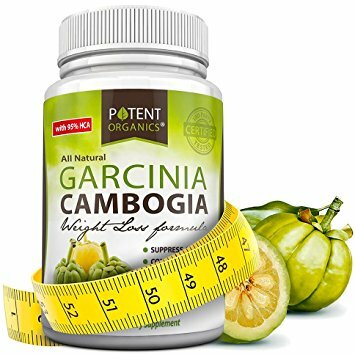 Some sources have stated that the heavy production and marketing of Garcinia Cambogia weight loss supplements are because the fruit is cheap and abundant, while at the same time there is no real discussion on its lack of effectiveness. There are various potential health risks associated with Garcinia Cambogia. Common side effects include stomachaches, dizziness, dry mouth, and diarrhea. This is because the ingredient is quite acidic. Avoid consuming too many acidic foods at once, as it may lead to stomach problems. Common side effects of Garcinia Cambogia include stomachaches, dizziness, dry mouth, and diarrhea. In 2017, the FDA warned a weight loss supplement called FrutaPlanta Life, which contained Garcinia Cambogia extract. This supplement also came with sibutramine or meridia, which is associated with jaundice, strokes, heart attacks, and seizures. Finally, the HCA content in Garcinia Cambogia is somewhat toxic. It may cause liver damage if consumed in a high amount. In 2009, the FDA warned some Garcinia Cambogia supplements because the consumers experienced severe liver problems. Actually, the cause was not completely Garcinia Cambogia, but you still need to be aware of this potential side effect. 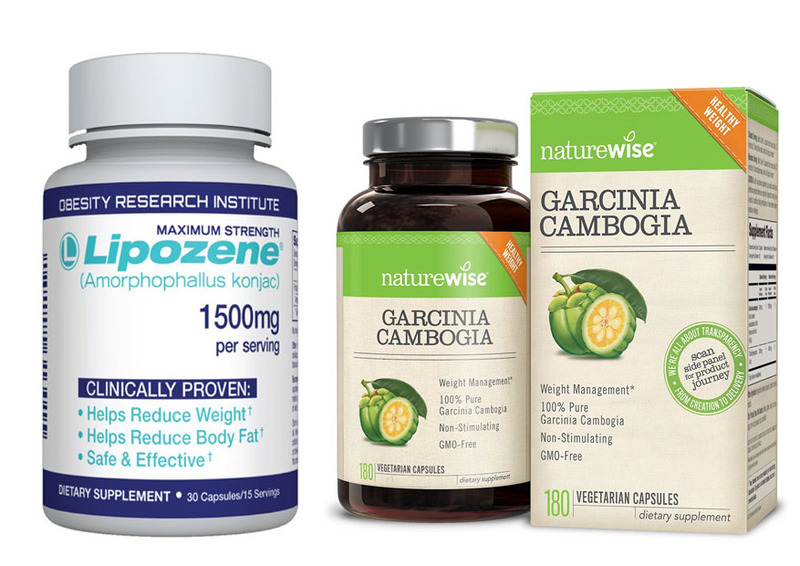 Between Lipozene vs Garcinia Cambogia, we recommend you to choose Lipozene. This ingredient in this product, glucomannan, is backed by some scientific studies that support the potential effectiveness. It can reduce your hunger and cravings. On the other hand, Garcinia Cambogia is not recommended due to the potential health risks.